The Pin Parvati Pass is a high altitude mountain pass in Himachal Pradesh, India and it is the shortest route connecting the lush Parvati valley in Kullu with the Pin valley in Spiti. The trek is a popular one because once across the Pin-Parvati Pass (5319m), there is a complete change in landscape and the mountain slopes immediately turn barren and rugged. The prevalent culture of the inhabitants also changes from Hinduism on the Kullu side to Buddhism in Spiti. Often referred to as the most challenging trek in the Indian Himalayas, it’s more than worth the effort. The Pin Parvati Pass trek is one of the most enthralling and challenging trekking trails in India and is recommended to trekkers with previous experience. Although it is not for the faint hearted, don’t be deterred. You’re good to go if you’re over 15 years of age, with reasonable fitness and stamina, and with prior high altitude trekking experience. 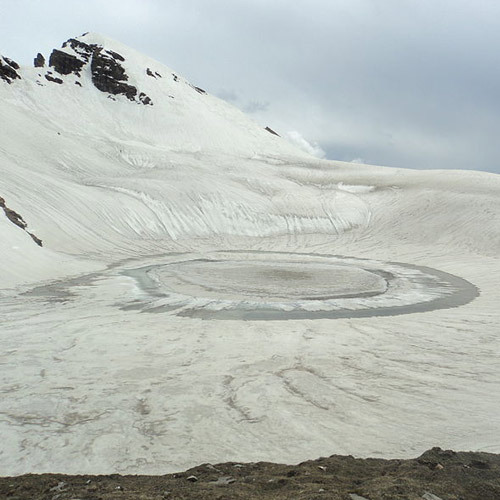 The Pin Parvati trek is a spectacular adventure that takes you to an elevation of 17,000 feet. The journey begins from Bhuntar, 50 km before Manali on the Delhi-Manali Highway. 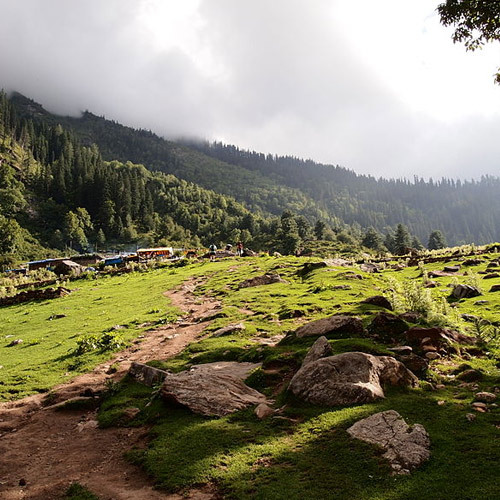 You start from the green environs of Kullu Valley, with its flowering fruit trees and apple orchards and then the trail rises into the starker landscapes of the upper reaches of the Himalayas. You will be required to cross a moderately difficult pass, do a few river crossings and walk long stretches on certain days. The heavy snow fall gives an alpine feeling and experience to remember for life time. This 100 km trans Himalayan trail is rife with adventure - from trekking through hidden trails, crossing the Parvati river and traversing deceptive crevasses of the high altitude Pin Parvati Pass. 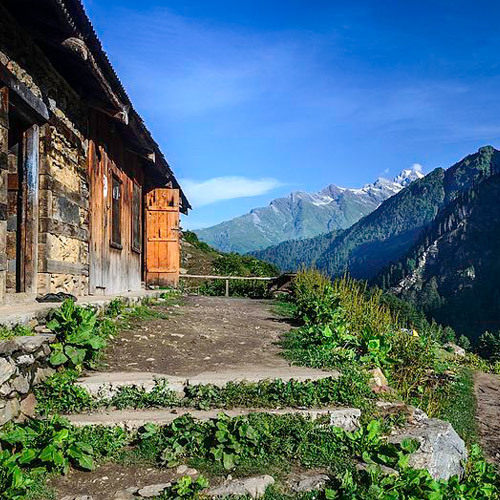 Although challenging, the valley rewards trekkers with its sheer beauty - from barren valleys, to thick forests, high waterfalls and moraines, the Pin Parvati trek is sure to delight and challenge even the most seasoned trekkers. Expect to see towering mountain ranges, craggy peaks, glaciers, ice walls, and more. Towards the end of Pin Parvati pass trek, you will get a chance to take a dip in the hot springs at Parvati Kund at Kheerganga. After a long hard trek, you will be blown away by how good the natural hot springs feel, and it is a five star experience in the midst of the Himalayas. This valley is closed for most of the year as the high passes around it are often blocked by snow. The Pin Parvati trek is usually undertaken during the months of July to September. 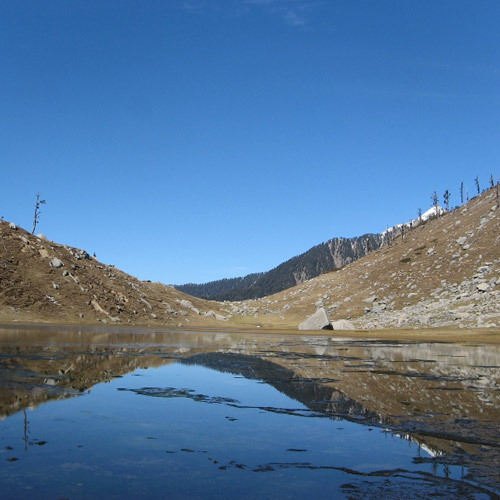 The Pin Parvati trek is a spectacular adventure that takes you to an elevation of 17,000 feet. It starts from green environs of Kullu Valley, with its flowering fruit trees and apple orchards. 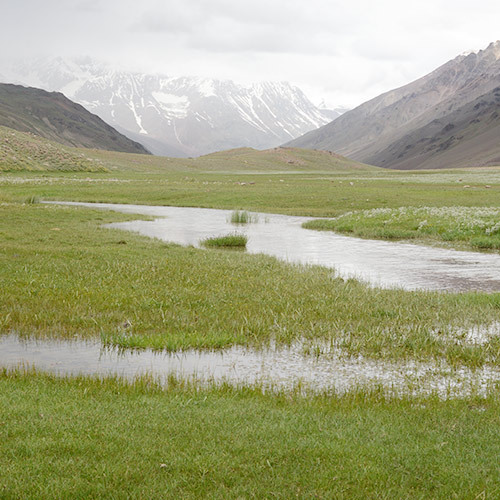 But the trail rises into the starker landscapes of the upper reaches of the Himalayas. Expect to see towering mountain ranges, craggy peaks, glaciers, ice walls, and more. IMPORTANT: This 9 day trek to Pin Parvati can be challenging and is recommended to trekkers with previous experience. You will be required to cross a moderately difficult pass, do a few river crossings and walk long stretches on certain days. 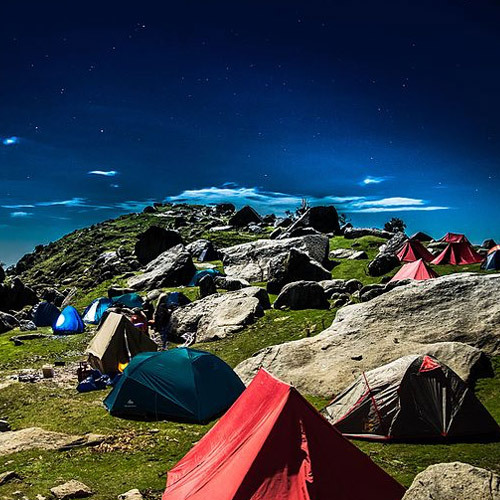 This trek to Pin Parvati Pass is on the top of the list for most experienced trekkers in India. 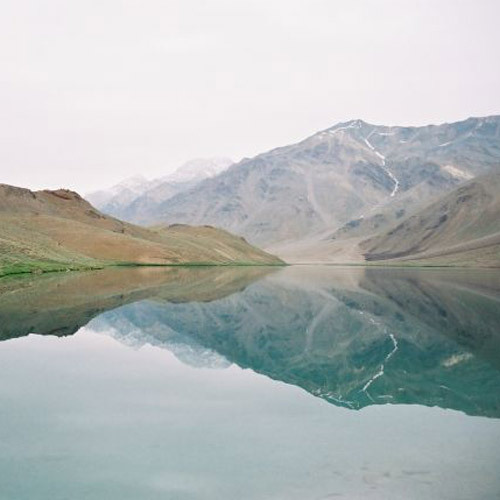 You'll be in the middle of the Himalayas, far away from civilization, trekking through gorgeous landscapes for 12 days. 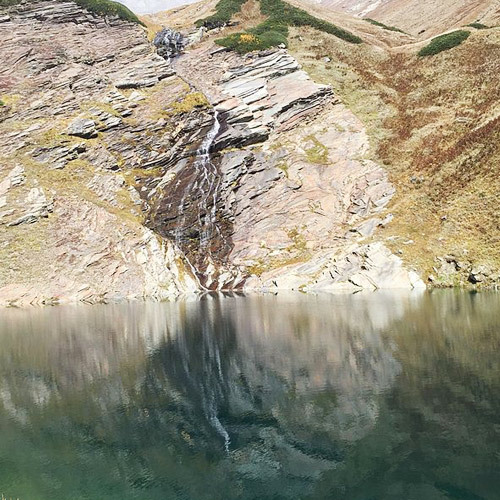 Your trail winds through alpine forests, slopes dotted with wild flowers, and with rivers and lakes to stop by. And that's all before you get to the Pin Parvati Pass. Getting to the Pass is a real victory, and rewards you with fabulous views of the other side, the Spiti side, with rugged barren landscape. Do note: this trek is not to be taken lightly. 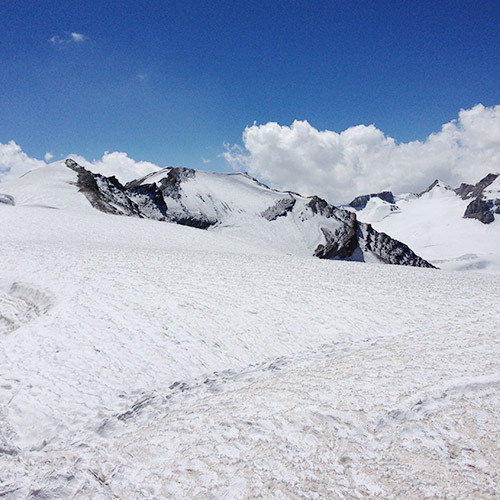 The Pin Parvati Pass trek is considered one of the most challenging trek in the Himalayas. This 12 day trek requires some amount of experience because you'll be crossing wide glaciers, climbing steep slopes, and trekking through thick forests. Additionally, once you begin, you'll be days away from civilization, so there's no turning back. You could say that this one is only for the true bravehearts.